Defiance PM is our creamy night-time serum that is a synergistic blend of the most advanced anti-aging compounds, nutrients, & botanicals in existence. There isn't a product like PM anywhere for any amount of money. This is one incredible treatment with the highest possible percentages of Hyaluronic Acid, Retinol, Alpha Lipoic Acid, Peptides, Dipeptides, NAD-Naicinimide, Resveratrol, DMAE, Teprenone, Carnosine, and rare Swiss Apple Stem Cells. Our face wash truly is unrivaled in its category. Containing so many nutrients and super anti-oxidants (like all of our products), it must be packaged in an airless container. "FROST" Face Wash is definitely at home in our family of Cosmeceuticals. It is a powerful product on its own and is full of Vitamin C, Niacinamide(B3), Beta Carotene(Vit.A), Vitamin D, Vitamin E, Panthenol (B5), Organic Aloe Vera, Willow Bark, Coconut oil, Pomegranate extract, Green Tea extract, and Tea Tree oil. Not only does it leave your face feeling cool, clean, and soft... it has a large dose of natural skin bacteria killers and it is non-comedogenic. Frost does not contain harmful sulfates or parabens. It is organically preserved. Our AM product is a high-content Vitamin C serum containing 3 forms of this vital age-defying skin nutrient... including the new advanced Tetrahexyldecyl Ascorbate. In addition to being toxin free and organically preserved, it is loaded with super anti-oxidants and skin-tighteners. It is designed to protect your skin from harmful free radicals; while firming and improving the look and texture for a more youthful appearance. AM has incredible healing properties. Those with troubled skin will find it a must have skin-care product. This incredible serum is designed to instantly tighten the delicate skin tissue under the eye, while reducing & removing puffiness, dark circles, and fine lines. LSW has an very high concentration of hyaluronic acid, microalgae, 6 different wrinkle-reducing Peptides, Hexapeptides, & Dipeptides. These extremely effective amino acid based compounds have a fast absorption rate and the effects are often compared to botox, because they cause the skin to relax... safely and naturally. For long-term benefits, LSW is loaded with collagen building aminos, vitamins, & other age-defying compounds. There isn't another under-eye product available anywhere that is so powerful. LSW is organically preserved. The most luxurious and nutrient rich moisturizing lotion ever developed. There are over 43 botanical oils, extracts, and nutrients in this product. Radiance AX contains: Retinol (Vitamin A), Vitamin C Ester, Green Tea EGCG(90%), Alpha Lipoic Acid, CoQ10, Niacinamide (Vit. B3), Acai Berry, Gotu Kola, Aloe Vera, Vitamin D3, Macadamia Nut oil, Olive oil, Jojoba oil, Almond oil, Coconut oil, Grape Seed oil, Carrot Seed oil, Rosehip Seed oil, Meadowfoam Seed oil, Neem oil, Avocado oil, and Palm oil. Radiance AX is one incredible moisturizer and is reported by many of our customers to be the best moisturizer they have ever used. We agree, of course. RestorationSkin is the most complete age-reversing cosmeceutical kit ever designed. It is a combination of 7 revolutionary products that merge science with nature. All products are organically and botanically preserved with no formaldehyde releasing parabens. Each product is created from a base of organic aloe and botanical extracts... not water, like most skin-care products on the market. Revive gx is a glycolic acid serum that includes a proprietary combination of 5 natural fruit AHAs and a new generation of skin lightening botanicals. There are many documented cases of AHA's benefits to the skin and daily use (as part of a broader skin care program) has a significant impact on conditions such as large pores, acne, photo-damage, wrinkling, and melasma. Users report seeing a dramatic improvement in their skin in as little as 7 days... and long-term use can increase epidermal thickness, epidermal and dermal hyaluronic acid, and collagen gene expression. Dramatically tighten facial skin and reduce pore size, immediately! Sea-Mask is our latest addition to the BlackBox Cosmetics' Restoration product line. Like all of our products, it is the most advanced facial product in its category. It contains three(3) forms of special sea algae harvested from pristine waters. These algaes are known for their ability to remove and eliminate toxins and bacteria. Sea-Mask contains super fruits, vitamins, aloe, the finest calcium-bentonite clay, and other special compounds. This wonderful combination will not only tighten, but leave your skin feeling incredibly soft. The effects last for days, so it is a wonderful way to give yourself a mini face lift. Unlike many face masques that are difficult to remove, Sea-Mask was developed for easy removal. Your skin will absolutely love this product! 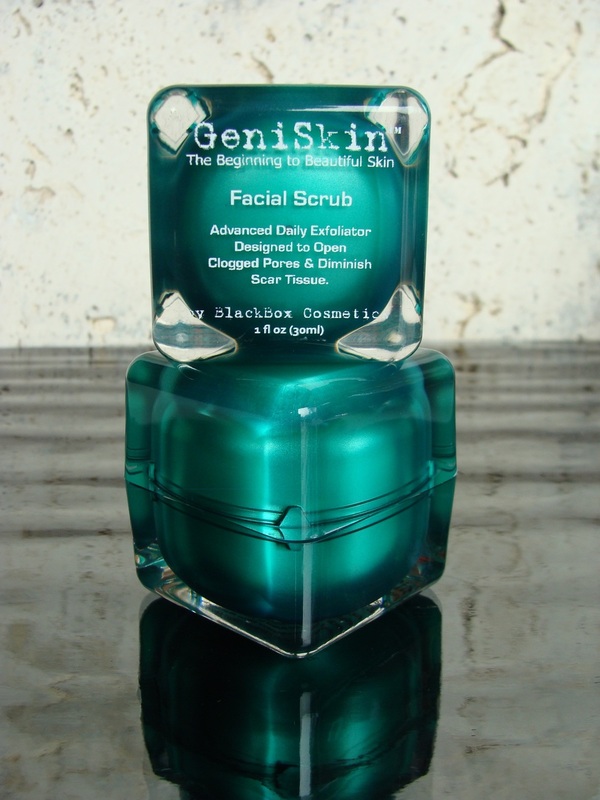 The GeniSkin face wash is loaded with bacteria killers, salicylic acid, vitamins, and botanicals. It is packaged in airless light-blocking pump bottles to protect these vital compounds for the highest effectiveness. It removes oil and bacteria buildup while leaving your face feeling cool, clean, and refreshed. This face wash is scented with hints of peppermint, spearmint, & tea tree oil. The GeniSkin Kit is the most complete & advanced acne and problem skin fighting system ever created. It is a combination of four treatments that use a synergistic approach to help users obtain beautiful clear skin. The system is designed to eliminate the bacteria that causes skin problems and heal the skin with advanced nutrients and botanicals. Like all BlackBox Cosmetics' extraordinary products, science was merged with nature to develop the most effective products in the world. Face masques are often overlooked by many problem skin product manufacturers. Yet regular use of toxin and bacteria removing masques can be extremely beneficial in your effort to achieve clear skin. GeniSkin Face Masque contains three(3) forms of special sea algae harvested from pristine waters. These algaes are known for their ability to remove and eliminate toxins and bacteria. It contains vitamins, aloe, bacteria eliminating botanicals, the finest calcium-bentonite clay, and other special compounds. 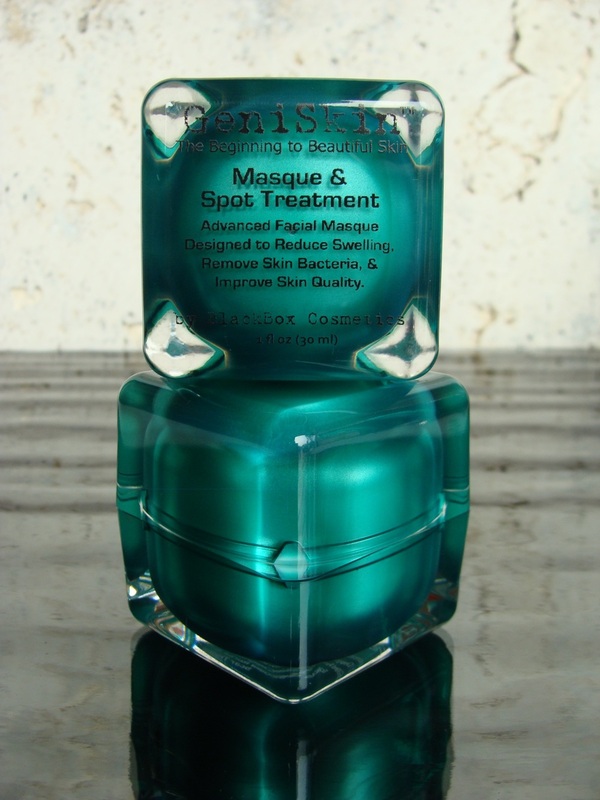 GeniSkin Masque dramatically reduces inflammation and leaves skin smooth and soft. This is an important benefit for those individuals that wear makeup or use a cover stick. At BlackBox Cosmetics, we have always believed that exfoliating your skin is vital to good skin tone and quality. In regard to problem skin, exfoliating helps keep pores clear of dirt and oil that can create blockage, which in turn creates bacteria and breakouts. Mild daily exfoliation with our organic grain microdermabrasion scrub is perfect for keeping your pores free and clear, yet gentle enough for those with an active breakout. Our daily scrub was designed to be the most effective exfoliator ever developed. Using microdermabrasion ingredients and techniques, you will be amazed at how soft your skin feels after only one application. Each treatment will assist in reducing visible scar tissue and large pores, while healing and regenerating new healthy skin tissue. Our treatment serum is unlike any product you have ever seen or used before. Based on the same skin-healing technology and nutrients that made our Infusion AM age-reversing serum so popular, we dramatically raised the bar in the acne and problem skin category. 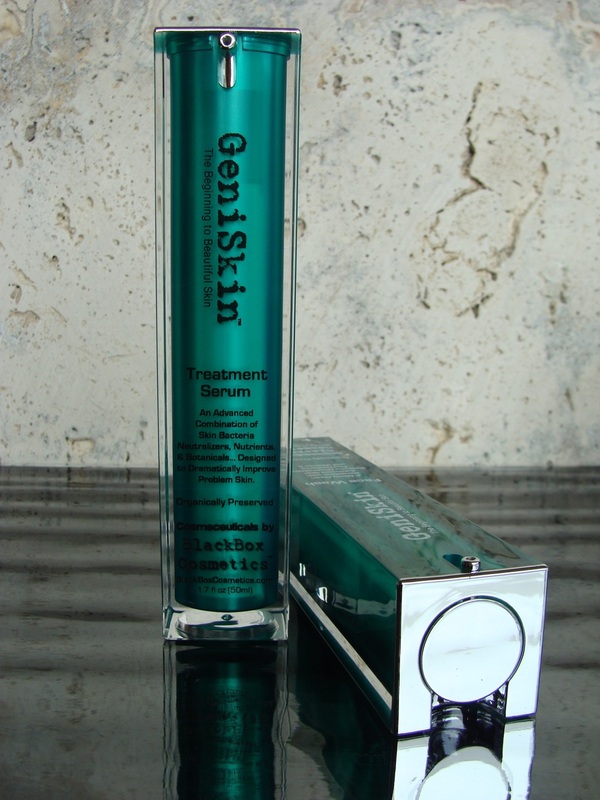 GeniSkin serum is loaded with various forms of bacteria killers that are designed to reach deep into skin tissue to kill the bacteria where it develops. During this process, GeniSkin serum infuses the skin with high levels of Vitamin C and other healing nutrients... including the new advanced Tetrahexyldecyl Ascorbate and our super anti-oxidant formula. Users report seeing an almost immediate reduction in breakouts and an improvement in their skin condition. 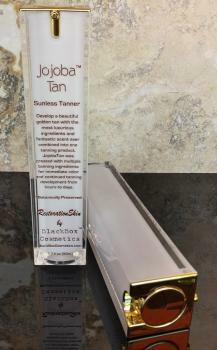 Jojoba Tan utilizes multiple tanning ingredients to give you the most natural looking and even tan possible without the sun. Created on a base of Aloe Juice and botanical extracts... this luxurious tanning lotion contains the highest quality jojoba, coconut, grapeseed, and avocado Oils to feed your skin. Unlike most sunless tanners that smell, streak, and make you look orange, JojobaTan looks completely natural and smells absolutely incredible. 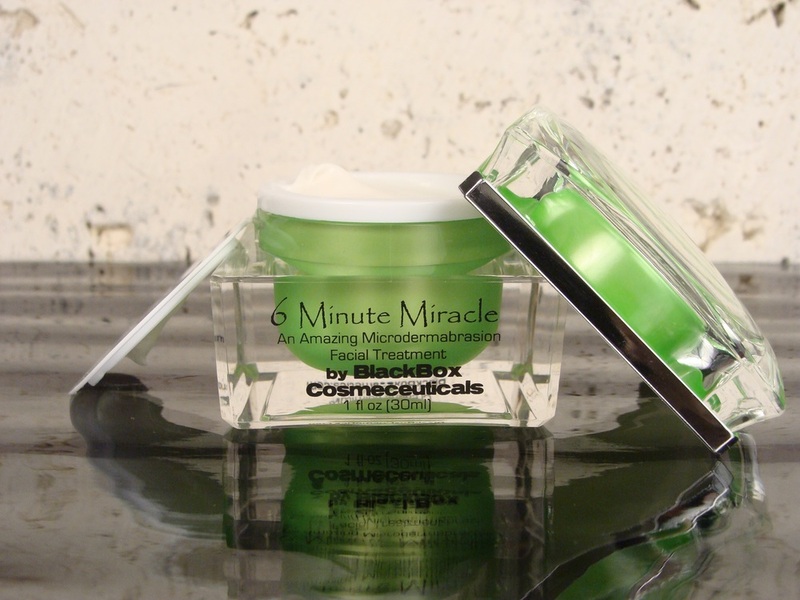 An original... 6 Minute Miracle was created to bring the value of microdermabrasion and its renewing effects, closer to home. 6MM contains a variety of skin-plumping compounds and botanicals to help give a quick and natural mini face lift, while improving the long-term look, feel, and health of your skin. Users are amazed with the revolutionary immediate results given by our "Microdermabrasion in a jar"! This incredible product reduces fine lines, damaged skin, and age spots... while promoting collagen production. Many of our users love the effects 6MM has on their hands and other body parts that are starting to show significant signs of aging. Retinol (Vitamin A) & Beta Carotene (Pro Vitamin A) - Possibly the most effective nutrient for anti-aging & anti-wrinkle skin-care, it has potent skin regenerating properties by promoting epithelization & keratinization. Retinol is among the most usable forms of vitamin A. It nourishes the skin and assists in the rejuvenation process that maintains a more youthful appearance. An expensive nutrient, it is seldom used in skin-care products at the right dosage... if at all. Potency is reduced by light and air. It must be contained in air-tight packaging. BlackBox Cosmeceuticals contains the highest effective level of Retinol and we are unaware of any company that uses a higher percentage. Within the product, our Retinol is encapulated in microbeads that break open as the product is applied to the skin. This ensures additional protection to this vital nutrient... and of course, our products are packaged in light-blocking air-tight vacuum pumps. Hyaluronic Acid - With remarkable properties, hyaluronic acid is the most talked about ingredient in age-defying skin-care. It is a natural polysaccharide and a compound that occurs naturally in every tissue of the body, with the highest concentrations occurring in tissues such as skin, cartilage and eyes. Responsible for providing protection to cell structures, tissue hydration, lubrication, & tissue stability, it holds 500 times its own weight of water. It is the natural gel between skin cells that serves as a water reservoir for the cells. As we age, skin loses hyaluronic acid and the ability to hold sufficient water in this reservoir. Feeding new hyaluronic acid to skin helps hydrate skin's intercellular reservoir, raising skin's moisture level, and smoothing down age lines. HA has water storing properties, making it an ideal swelling agent and lubricant, enabling for a visible improvement of skin condition. It forms a thin transparent visco elastic surface film that helps to preserve suppleness, and elasticity that is characteristic of youthful skin. Amazingly, hyaluronic acid adjusts its moisture absorption. Amazingly, hyaluronic acid adjusts its moisture absorption based on the relative humidity in the air. It is the ideal ingredient in skin care products as it adjusts to the skins need for a moisturizing effect depending on the relative humidity of seasons and climate of an area. Hyaluronic acid also protects the epidermis by scavenging reactive oxygen species generated by ultra violet light which would normally cause sunspots. Another expensive compound, it is important to note that most skin-care companies that include Hyaluronic Acid in their products have diluted it to the point that is has little effect. The Hyaluronic acid in BlackBox Cosmeceuticals has not been diluted and is a very high percentage of the products overall. Acetyl Tetrapeptide-5 - Studies show this peptide is great for reducing dark circles and puffy eye-bags. It is also used for tissue hydration. Acetyl Hexapeptide-8 - Studies show that this peptide reduces fine lines and wrinkles (with a safe botox like effect) around the eyes and forehead by limiting the pathways in which they are caused. With regular use, it relaxes facial tension leading to a reduction in fine lines and wrinkles. Palmitoyl Oligopeptide - Studies show palmitolyl oligopeptides stimulate collagen, elastin, and glucosaminoglycans (major components of healthy young looking skin) production. Wrinkle depth is reduced by increasing hyaluronic acid and collagen production. In vitro studies show that it increases collagen production by the fibroblasts by as much as 350% and increases skin thickness to a significant degree. Palmitoyl Tetrapeptide-7 - Studies show that this peptide reduces fine lines and wrinkles (with a safe botox like effect) around the eyes and forehead by limiting the pathways in which they are caused. With regular use, it relaxes facial tension leading to a reduction in fine lines and wrinkles. Dipeptide Diaminobutyroyl Benzylamide Diacetate - Studies show that this peptide reduces fine lines and wrinkles (with a safe botox like effect) around the eyes and forehead by limiting the pathways in which they are caused. With regular use, it relaxes facial tension leading to a reduction in fine lines and wrinkles. Palmitoyl Dipeptide-5 Diaminobutyloyl Hydroxythreonine - There is a significant amount of skin activity promoted with this Dipeptide. It stimulates 3 different types of collagen and other structural components of skin tissue and provides structural and functional integrity. Palmitoyl Dipeptide-6 Diaminohydroxybutyrate - There is a significant amount of skin activity promoted with this Dipeptide. It stimulates 3 different types of collagen and other structural components of skin tissue and provides structural and functional integrity. Enteromorpha Compressa Extract - A marine pentasaccharide (MPS) obtained from a small molecule marine seaweed that penetrates the epidermis and acts on the fibroblasts' metabolism. Caesalpinia Spinosa Gum - A polysaccharide fraction extracted from the Andean tara tree that makes a novel 3D hydrocolloidal matrix. L-Lysine - This essential amino acid plays an important role in the formation of collagen. Essential amino acids are greatly needed, but not produced by the body. L-Proline - This essential amino acid is a precursor... along with vitamin C, of collagen. L-Arginine - This essential amino acid has shown activity in wound repair. This may be due to its role in the formation of L-proline, an important amino acid that is essential for the synthesis of collagen. L-Carnosine - Carnosine is a dipeptide of the amino acids beta-alanine and histidine. Carnosine can increase the Hayflick limit in human fibroblasts, as well as appearing to reduce the telomere shortening rate. Researchers in Britain, South Korea, Russia and other countries have shown that carnosine has a number of antioxidant properties that may be beneficial. Carnosine can oppose glycation. Because of its antioxidant, antiglycator and metal chelator properties, carnosine supplements have been proposed as a general anti-aging therapy. Carnosine containing products are also used in topical preparations to reduce wrinkles on the skin. Teprenone - Clinically proven to fight against all signs of aging by improving hydration, reducing age spots, and improving barrier function. In tests, Teprenone improved skin moisture, redness, pore size, skin roughness, and fine lines in 75 to 100% of the test persons. The overall texture of the skin is improved and restored to a more youthful state. Studies show it prolongs cell life by up to 1/3 or more... even under intense stress. Apple Stem Cell Extract - a liposomal preparation based on the stem cells of a rare Swiss apple. The protection of human stem cells, age delaying activity, and anti-wrinkle effects have been demonstrated by various in-vitro experiments. Coconut Endosperm - The liquid endosperm of green coconuts (Cocos nucifera) is rich in vitamins, minerals, amino acids, and growth factors that are an important part of the tissue growth of the coconut. Studies show that due to a high content of RNA(vital to the growth of living cells) in green coconuts, it helps support the growth of human tissues. Resveratrol - Collagen IV and anti-inflammatory synthesis activity is afforded through the complete metabolization of resveratrol in the biofermentation process, targeting micro-inflammation and maintaining the structural integrity of skin cells and their firmness through the dermal epidermal junction. In vitro studies were performed to determine the inhibitory benefits of Resveratrol on a full thickness tissue model to reduce expression of the anti-inflammatory enzyme along with its ability to promote the synthesis of Collagen IVA on the same tissue model. The results, in both cases, confirm with statistical significance it reduces the levels of the COX1 enzyme and increases the amount of COLL IVA synthesis. In vivo, an anti-aging study has confirmed a reduction in fine lines and wrinkles following a 28-day application, as well as firming and lifting of the skin to reduce notable sagging that was present prior to treatment. In addition, resveratrol is a polyphenol, which has been shown to inhibit occurrence and/or growth of mammalian tumors. Tetrahexyldecyl Ascorbate (Vit. C Ester) - A potent anti-oxidant that protects skin from oxidation, which includes UV rays. For anti-aging it improves skin elasticity by enhancing collagen production. It is an excellent non-irritating skin whitening agent that inhibits skin cells to produce melanin and lighten age spots. It is an anti-inflammatory & has soothing effects. Most vitamin C derivatives on the market, including ascorbyl palmitate and magnesuim ascorbyl phosphate, consist of the ascorbic acid fragment (ascorbyl) and a fragment of another acid (e.g. palmitate or phosphate). Recent research indicates that new vitamin C derivatives, such as Tetrahexyldecyl Ascorbate, consisting of multiple chemical fragments bound to a single ascorbic acid fragment may work even better. These new derivatives are more stable compared to both vitamin C and older derivatives. Furthermore, some of these newcomers (particularly the so-called tetrasubstituted lipophilic ascorbates) also appear to be more powerful boosters of collagen synthesis." BlackBox Cosmeceuticals use two forms of this important vitamin for the highest possible results, since research suggests they have different benefits and effects. Ascorbyl Palmitate (Vit. C Ester) - A potent anti-oxidant that protects skin from oxidation, which includes UV rays. For anti-aging it improves skin elasticity by enhancing collagen production. It is an excellent non-irritating skin whitening agent that inhibits skin cells to produce melanin and lighten age spots. It is an anti-inflammatory & has soothing effects. BlackBox Cosmeceuticals use two forms of this important vitamin for the highest possible results, since research suggests they have different benefits and effects. DMAE - is an active ingredient that promotes firm skin, fullness of the lips, and has anti-aging properties. It is believed to help reduce the progression of facial sag and is reported to have a cumulative effect with repeated use. Milk Thistle/Silymarin - The milk thistle plant contains silibinin and silymarin, two compounds that are well known for their anti-oxidant, anti-inflammatory properties. Topical application of silymarin significantly decreased skin cancer number and size in a validated model of tumor promotion. CoQ10 - In most people over thirty, levels of CoQ10 in the skin are below optimum, resulting in lesser ability to produce collagen, elastin and other important skin molecules. CoQ10-depleted skin may be more prone to damage by free radicals. Thus, CoQ10 may boost skin repair and regeneration and reduce free radical damage. CoQ10 is a small molecule that can penetrate into skin cells relatively easily. Niacinamide (Vitamin B3) & NAD (Vitamin B3) - Research shows Niacinamide can offer a number of benefits in improving the appearance of aged and photodamaged skin. Studies have shown topical niacinamide to be effective in improving skin texture and the appearance of hyperpigmented spots, with improvement in overall blotchiness and the reduction of the severity of fine lines. It has been shown to stimulate collagen synthesis and production of ceramide, a lipid compound that contributes to the functional and structural integrity of the skin barrier. Theoretically, by improving barrier integrity, niacinamide may help the skin become more resistant to external irritants. Studies have shown it to be useful in increasing synthesis of collagen and lipids... inhibiting the transfer of melanosomes and decreasing inflammation. Niacinamide has been shown to be beneficial in the treatment of acne and skin cancer and has anti-tumor activity. NAD is believed to reach into deeper tissues of the skin. Alpha Lipoic Acid / Thioctic Acid - Has been shown to delay mitochondrial decay due to aging and environmental toxins. This antioxidant is able to penetrate the membrane of cell mitochondria unlike most other polyphenols thereby maintaining a healthy cellular redox state. ALA is an essential cofactor for many human enzyme complexes.There is some data that reactive oxygen species play a role in the process of aging. The skin is exposed to various exogenous sources of oxidative stress, including ultraviolet radiation. These spectral components are generally viewed as responsible for the extrinsic type of skin aging, sometimes termed photo-aging. It has been shown that direct topical dermal application of low molecular weight antioxidants, notably Vitamins C and E, as well as Alpha lipoic acid, may confer protective effects against oxidative stress. A universal antioxidant, it neutralizes free radicals in both the fatty and watery regions of cells, in contrast to vitamin C (which is water soluble) and vitamin E (which is fat soluble). It directly recycles and extends the metabolic lifespans of vitamin C and Coenzyme Q10, and it indirectly renews vitamin E.
Panthenol (Vitamin B5) - Has the ability to stimulate wound healing, skin regeneration, and has anti-inflammatory effects. Panthenol is a humectant effective at counteracting the dryness that occurs in aging skin and increases its moisture retention capacity, which allows dry skin to stay supple and elastic longer. Panthenol improves the condition of the skin's moisture barrier, a function considered by dermatologists as critical to healthy skin. Cholecalciferol (Vitamin D3) - Technically not a "vitamin," vitamin D is in a class by itself. Its metabolic product, calcitriol, is actually a secosteroid hormone that targets over 2000 genes, which is approximately 10% of the human genome. While most vitamin D is synthesized in the body by the skin through photochemical reactions using sunlight, there are certain conditions where the body's ability to produce vitamin D is not sufficient to meet physiological requirements. There is a great deal of evidence to suggest that Vitamin D actually prevents Melanoma and many other forms of cancer. The benefits of Vitamin D are significant and we suggest getting an adaquate amount of sun exposure "without burning" to increase your Vit. D levels naturally. Acai Berry - Full of nutrients and anti-oxidants, this botanical is considered by many to be the number one Super Food in the world. It has an anti-oxidant ORAC Value (Oxygen Radical Absorbance Capacity) that is much greater than almost any other natural food. Acai has an amazing combination of anthocyanins, phytosterols, phenols, omega-3, omega-6 and omega 9 essential fatty acids, vitamins B1, B2, B3, C, and E, minerals, calcium, potassium, and essential amino acids. Gotu Kola - Its active constituents have regulating and activating functions that act on the collagen present in many organs. In skin, the major components are collagens type I and II. Skin aging is related mainly to a decrease in type I collagen levels, which also plays a major role in wound healing. Studies have shown that the main constituents of Centella asiatica (Gotu Kola) increase collagen synthesis. In addition to stimulating the synthesis of collagen, it also improves tensile strength of the skin. Chamomilla Recutita Flower Extract/Alpha Bisabolol - This natural compound has powerful anti-inflammatory, antifungal, and antibacterial characteristics. Studies have demonstrated a reduced healing time in skin burns. Aloe Vera - For thousands of years acient civilizations have been using aloe for its extaordinary healing properties. It is a super moisturizer and regenerating & healing agent. Aloe vera penetrates the skin stimulating the immune system and increasing blood circulation. It has anti-inflammatory effects and is used for anti-aging properties, since it increases collagen synthesis and skin elasticity. This is why BlackBox Cosmeceuticals has chosen this wonderful and highly effective natural botanical and its juices in place of water. In comparison, you will find that the vast majority of products on the market use water as their number one ingredient. Yeast Beta Glucan - Studies have shown that beta-glucans found in yeast and certain fungi have anti-cancer properties. They are believed to boost immune systems responses and tissue regeneration. Beta Glucans are extremely effective in increasing moisture retention and calming irritated skin. As biological response modifiers, they also help to activate the immune system of the skin, challenging skin to repair itself at a deep level where sensitivity starts. Beta Glucan has been shown to reduce the production of free radicals. Green Tea EGCG (90%) - EGCG, a prime component of green tea, provides broad-spectrum protection against UV light-induced DNA damage and immune system dysfunction of the skin. Topical green tea extract is exceptional in preventing the inflammation and oxidative stress associated with UV light-induced skin damage. As a result, scientists believe green tea may help prevent skin cancers that commonly result from exposure to the sun's radiation. The active ingredients in green tea are a family of polyphenols/catechins and flavonols which possess potent anti-oxidant activity. Several catechins are present in significant quantities, epicatechin (EC), epigallocatechin (EGC), epicatechin gallate (ECG) and epigallocatechin gallate (EGCG). The most potent anti-oxidant Green Tea extracts contain EGCG 70% or 90%. BlackBox Cosmeceuticals contain 90% EGCG. Microalgae Extract (skin tighteners) - A highly purified biotechnologically produced extract from the microalgae Nannochloropsis oculata. It functions as a skin tightener which provides immediate tightening to the skin. It has been shown to protect human fibroblasts from oxidative stress, simultaneously increasing the formation of collagen-l thereby promoting a long term tightening effect through the strengthening of the skin's connective tissue. Blue Green Algae Extract - This is the most nutrient rich and bio-active algaes known. It is full of minerals, vitamins, enzymes, chlorophyll, amino acids, nucleic acids, fatty acids, and DHA. Due to the algae's nutritious soft cell wall, these nutrients are readily available to the body. Six times richer in protein (laden with human like branched chain amino acids), and minerals than mother's milk, its minerals come in a form easily absorbed by the body. Proper quantities of all 22 amino acids are required for construction of new tissue. Amino Acids are crucial for collagen production and have an immediate smoothing effect by connecting to skin cells. Tocopherol (Vitamin E) - As an anti-oxidant it protects from damages by reactive oxygen radicals & UV rays. Vit. E has a moisturizing & anti-aging effect and improves skin surface relief. It has soothing & anti-inflammatory properties and promotes epithelisation & enzyme activity in skin. Glucosamine (N-acetyl-D) - Combined with Niacinamide is effective in reducing age spots and correcting other problems with uneven pigmentation of the skin. Some research shows it improves collagen production and boosts Hyaluronic Acid production. Goji Fruit Extract - Known as one of the most powerful anti-aging foods in the world as measured according to the ORAC (Oxygen Radical Absorbance Capacity) scale which measures antio-xidant power in food. Food that shows a very high value in this analysis can protect cells and their components from harmful oxidative processes. Goji contains large amounts of b-carotene (8mg/100g) in a very biologically active form that enables the body to easily use it. A number of studies have demonstrated the anti-oxidant activity of Goji fruit and its ability to capture superoxide radicals and inhibit lipid peroxidation. Recent studies demonstrated that its anti-oxidant activity is also transferred to skin. It was observed that, in the presence of glycoconjugates from Goji, the level of metalloproteinases-I of the skin matrix was three or four times lower than the level showed by the control group. Goji selectively inhibited metalloproteinases-I, which is excessively expressed in the aging process. Goji is noted in its ability to prevent and stop it. The same study also found that fibroblasts cultures improved in the presence of Goji. Collagen in suboptimal conditions was restored to the levels observed in cultures under optimal conditions and it was confirmed that this is a dose-dependent response. In addition, some of the glycoconjugates have a low molecular weight and can easily penetrate skin. Pomegranate Extract & Distillate - Another super botanical with extraordinary benefits... it protects against photoaging, supports skin cell regeneration, promotes wound healing, and prevents cancerous changes. Pomegranate is believed to provide a broad-spectrum of support for aging skin. Willow Bark Extract - is a source of natural salicylic acid-like ingredients which has been shown to contribute effects similar to those seen from synthetic salicylic acid with none of the drawbacks associated with its use, primarily irritation. As such, it is a safe way to get the benefits of a ß-hydroxy acid. It enhances skin cell turnover by promoting exfoliation, resulting in a general improvement in the appearance of the skin and a smoothing effect with accompanying reduction of fine lines and wrinkles. Also known for its antimicrobial properties, it can be useful as a remedy for problem skin conditions. Willow Bark Extract has been found to increase stratum corneum turnover more so than synthetic salicylic acid. In vitro tests have shown Willow Bark Extract to have activity against Staphylococcus aureus and Propionibacterium acnes, the two strains of bacteria implicated in the formation of acne. Creatine Palmitate - Research findings show creatine appears to have beneficial effects on skin tissue, especially in preventing UV damage and repairing damaged skin. The cellular energy provided by creatine speeds skin repair and healing, lessens sunburn, and protects skin from UV damage. Such processes can improve skin quality, moisture retention and elasticity. We believe creatine could have other benefits to the skin and have included it in two of our products.